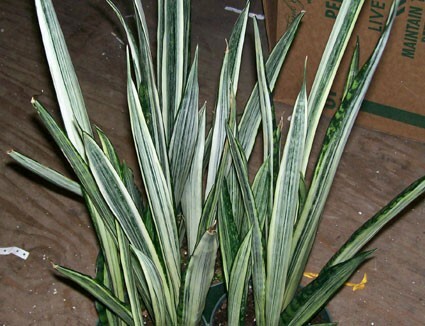 White and ocher-cream stripes with occasional yellow and dark green furrows accent the very erect succulent leaves; the "White Snakeplant" typically has a narrow green edge. 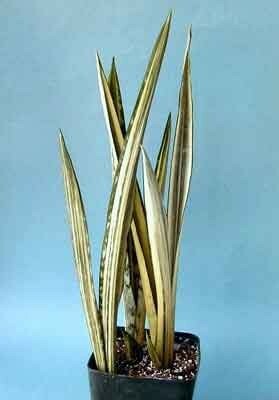 1940s laurentii sport originating in St. Louis. 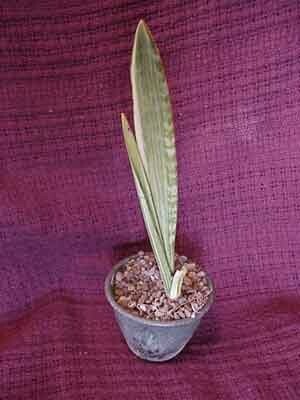 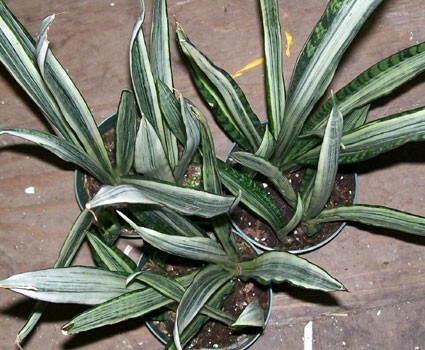 Because this is a trifasciata cultivar, the leaves are far more erectly rigid, of thicker substance, and often more numerous per head than those of Sansevieria 'Manolin' with which it seems to be occassionally confused among hobbyists. 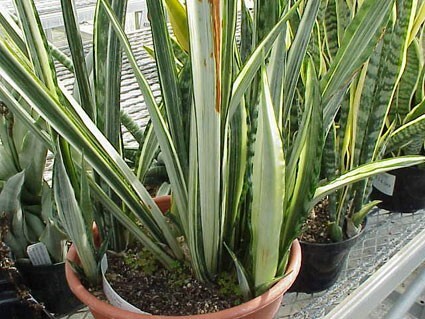 Avoid chill as the leaves are so extremely variegated that brown spots soon appear if exposed to cold temperatures. 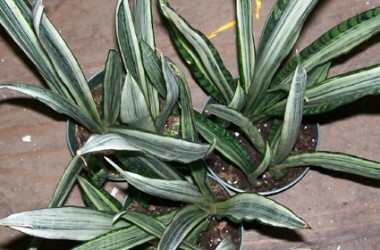 This has long been among the most popular rare Sansevierias we offer. 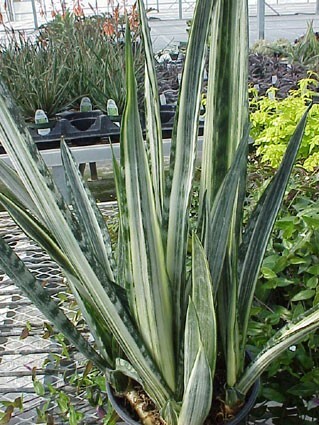 We will ship this only during the warmer months of the year.